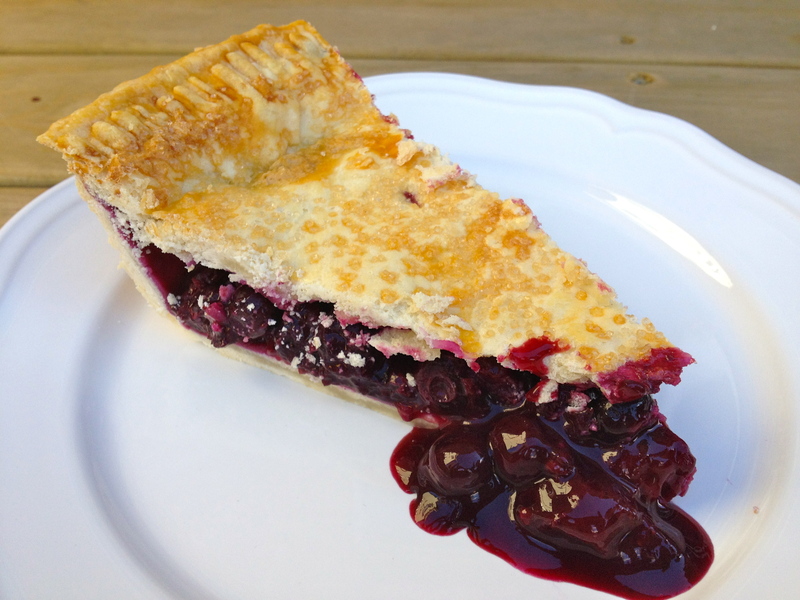 This week’s Tuesdays with Dorie recipe was Blueberry Nectarine Pie. It’s winter here in Australia, so there are no nectarines to be found. I replaced them with strawberries. While buying the ingredients for the pie I saw this magazine sitting on the shelves as I sat in the grocery line waiting to pay. The look on Kristen Stewart’s face caught my attention. I’ve come across that look many times in my career. Reason and caution go out the window. You are fully immersed in your drama and all your senses are alive! Ideally people would be striving to achieving this mental state in a healthy way by identifying what is missing in their lives and setting goals that would satisfy these needs. Unfortunately, through my work, I’ve come to understand achieving this in a healthy way is really hard work! So the distractions of choice are usually affairs and drugs! So with this all going through my mind, I somehow decided that this pie would be so mind blowingly great I too would lose sense and reason! Yes, in hindsight I can see it’s bonkers and what was I thinking! But I wanted the pie to be that good!!! My husband and kids enjoyed it. I thought it looked good, but I really didn’t like it at all! My husband thought I was crazy until I told him of my expectations. After he stopped laughing, he assured me no pie was going to live up to those expectations and to try it with ice cream! We need someone sane in the family! To check out the recipe visit Liz at That Skinny Chick Can Bake or Hilary at Manchego’s Kitchen. 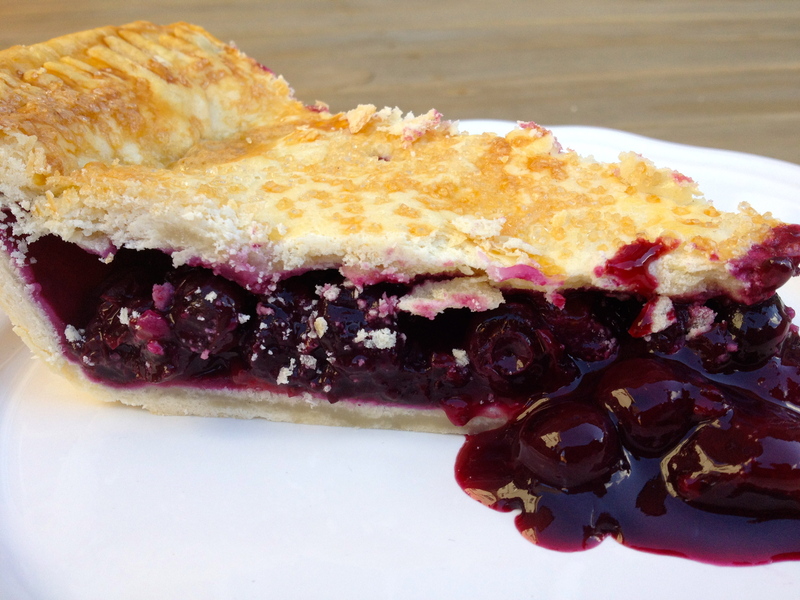 Tags: baking, blueberries, cooking, food, life, my life, personal, pie, recipes | Permalink. Hilarious! Dang that Kristen Stewart! I won’t have a job anymore! This is a fun post. The pie looks gorgeous! The color of the filling and the flaky pie are perfect! Your pie looks delicious – especially the crust. I am more upset than I like to admit about this whole Kristen cheats on Rob thing – I feel really sad for them both that they have to go through this under such scrutiny but more sad for Rob obviously. That Twilight promo tour should be fun, right? Yikes! experimenting in the kitchen is fun…why go bonkers…it’s what creativity is about. I really enjoyed reading your post and looking at that fabulous slice at the end of it. Hilarious! And, you pie looks delicious! Sanity is highly overrated… If we were all sane, things would be so boring (and…you wouldn’t have a job). Your pie looks lovely – and yes, sometimes pie is the best therapy. (Directly following the five mile run, of course).